Wedding Specialists with 3-chip broadcast cameras and free demos. 15 years experience, located in Southington, Connecticut. Manufacturer of metal stamping, springs and wire forms used in aircraft, electrical, environmental, hardware, nautical, novelty, recreational, scientific and surgical markets. Provides advertising, web design, logo creation, print and direct mail design, and signage. Site includes example work. Southington. Providing direct mail services which include printing and list segmentation to companies, large or small. Based in Southington, CT.
18-hole, par 71 course in Southington. Calendar, score card, tee times, tournaments, photo gallery and rates. Site contains snow reports, ski school and racing information, a trail map, job opportunities, and contact information. Resort is located in Southington. Versatile dogs in show, agility and obedience. Photographs, news, and links. Southington. 18-hole, par 71 golf course. Calendar, score card, tee times, tournaments, photo gallery and rates. Breeder of Harlequins Rabbits. Site offers information, history, and pictures of the breed. Located in Southington, Connecticut. Located in Southington, Connecticut with spring training in Florida, international competition in Australia, winter indoor lacrosse and tournaments for youth and college-aged players. Gaming community in Southington, CT. Offers prizes, tournaments and food all day. Southington company offers detached, single floor homes for people 55 and over, in 27 communities from New Hampshire to Georgia. southington coffeehouse/nightclub for adults offering live music, comedy and other entertainment weekly. SiteBook Southington City Portrait of Southington in Connecticut. 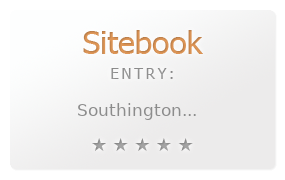 This Topic site Southington got a rating of 3 SiteBook.org Points according to the views of this profile site.